Any language’s vocabulary is incomplete without the knowledge and usage of IDIOMS. Idioms are such groups of words that have a figurative meaning which is totally different from the actual meaning of the words. You have no choice but to learn them. A while ago, I wrote a blog on Commonly Mispronounced Vegetable Names. Well, today we’ll go a step further and learn about the use of vegetables outside the kitchen. Let’s add these healthy veggies to our vocabulary and learn some vegetable idioms. Here’s a collection of the most commonly used vegetable idioms that you can use in your daily communication. • I do not like men who are couch potatoes. I would love a person who likes adventure in life. • Joe and his wife are so compatible in their likes-dislikes that they are like two peas in a pod. • First, he took his father’s car without permission and now he has got himself in a pickle. • All you have to do is dangle a carrot in front of him and he will come back immediately. • The children were full of beans today, looking forward to their field trip. • Nancy spilled the beans about Sam’s secret girlfriend. • I don’t think he’ll understand you, he is such a pea-brain. • James passed the olive branch to Kathy and ended a long feud between them. • I struggled a lot in my salad days to survive in this city. Well, there you go. Now you have almost all the vegetable idioms in your English vocab. 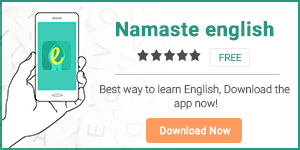 To enhance your English language skills, download our app Namaste English.